Though there’s not a very wide variety of outdoor gear available in plus sizes, it’s nice to find that most of the necessities are available from some of the top brands and outlets. Packing a wide-brimmed hat isn’t very easy, so here are some of our favorite wide-brimmed hats that were designed for travel and won’t get crushed in the packing process! Lolë Refresh Pants: The Best Travel Pants? Lolë’s Refresh pants are marketed for running and urban fitness, but I highly recommend them for travel. You’ll love these pants for volunteer travel, jungle trekking, overland trips and any sort of trip where you wash your clothes and need them to dry quickly. Speakeasy travel scarves are infinity scarves with a secret hidden pocket for stashing valuables on the go. Look good while keeping your belongings safe! I’ve found that skorts are making a comeback, and there are plenty of options available for plus-size travelers. I love leggings. 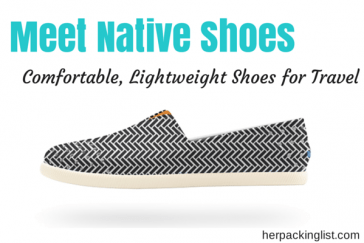 They are a female traveler necessity, as they’re light, compact, and dry pretty quickly. Here are my plus size travel leggings resources. The new Evolve Top by Encircled can give you more bang for you precious packing list line item by offering various looks, for various personalities and activities, with one simple top.